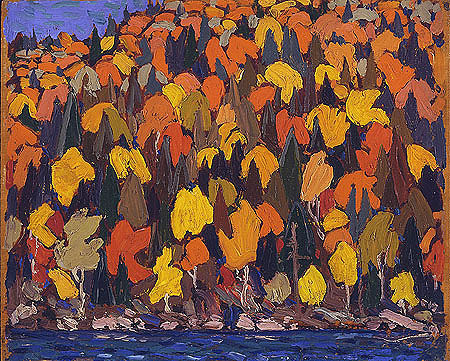 Tom Thomson was obsessed with capturing the magic of Algonquin Park. Like many artists before him, his work wasn’t widely recognized for its brilliance until after his death. This week an exhibition featuring the work of Tom Thomson and the Group of Seven opened at the Dulwich Picture Gallery in London England. It’s called Painting Canada: Tom Thomson and the Group of Seven. 1. 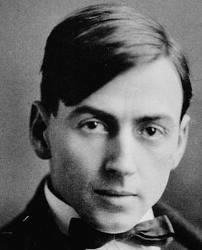 Many people think Tom Thomson was part of the Group of Seven. He wasn’t. He worked closely with a number of founding members and influenced their development. But he died three years before the group was formed. 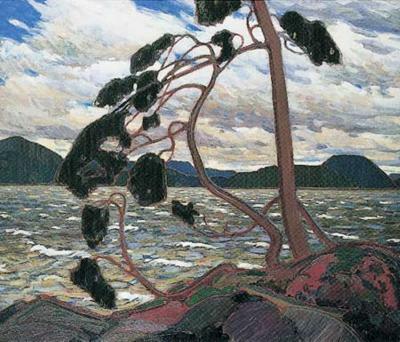 The Group of Seven was made up of A.Y. Jackson, J.E.H. 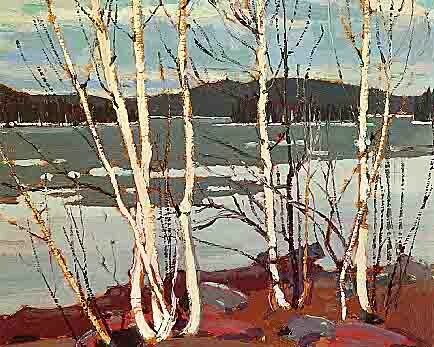 MacDonald, Lawren Harris, Arthur Lismer, Fred Varley, Franklin Carmichael and Frank Johnston. 2. 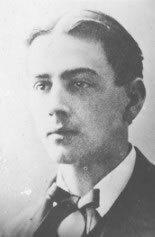 Thomson died tragically and mysteriously in 1917 while canoeing alone on Canoe lake in Algonquin Park. Controversy still surrounds his death. 3. The artist had little or no formal training as a painter. 4. A naturalist, Thomson was an accomplished guide and woodsman. He loved to fish. 5. 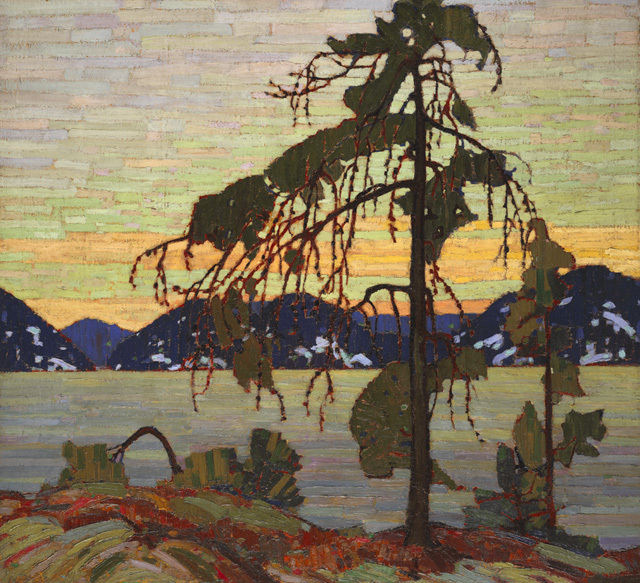 Writer Roy MacGregor is fascinated with Tom Thomson. He’s written a book called Canoe Lake and more recently a non-fiction account of Thomson’s life called Northern Light: The enduring mystery of Tom Thomson. 6. Thomson was the youngest member of what was once called “the hot mush” school of art. Today, his work is revered internationally. No one is calling it mush! 7. 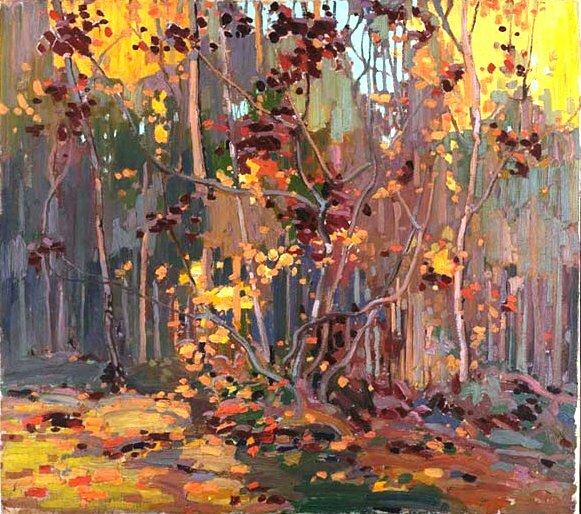 He painted smaller sketches on site in the spring and summer– taking them back to his studio in Toronto to develop them into larger finished works over the winter. I love the freshness of this piece. It’s always exciting to see blue water re-emerge after a snowy winter. 8. Thomson’s work attracted the attention of art collector Dr. James MacCallum. Dr. MacCallum helped the artist out financially and was instrumental in bringing attention to Thomson’s work. Dr. MacCallum bequeathed his collection to the National Gallery in Ottawa when he passed away in 1943. 9. Just before his death, Thomson was hoping to sell his sketches for $10 – $15. a piece. Today one of those sketches would likely sell for $2 million at auction. 10. 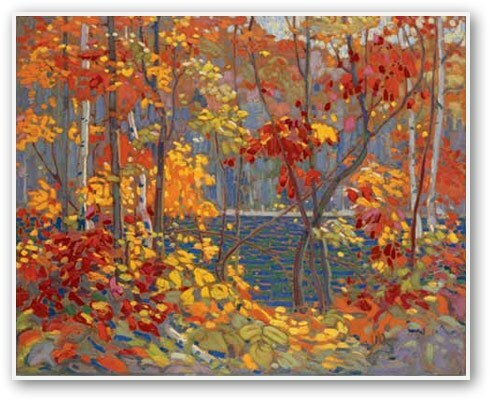 Tom Thomson painted for less than six years. Yet he remains one of Canada’s most influential painters. The National Gallery of Canada in Ottawa has the largest number of Tom Thomson works. 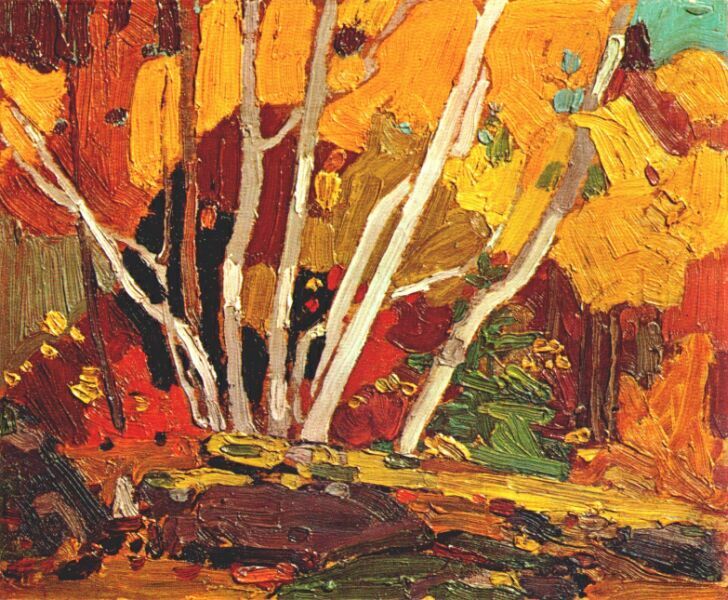 The McMichael Canadian Collection in Kleinburg Ontario also has a number of major works. 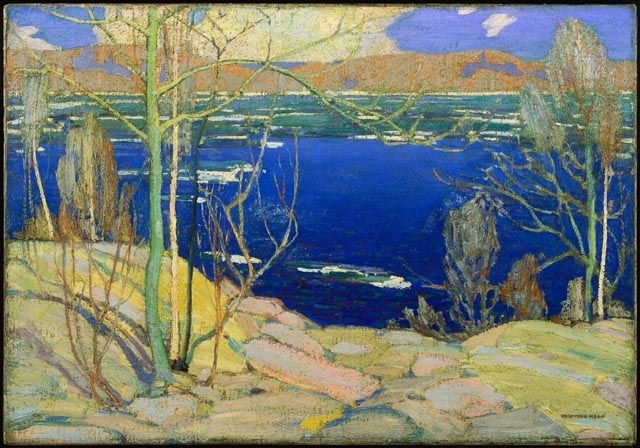 The Thomson Collection in Toronto and the Tom Thomson Memorial Art Gallery in Owen Sound Ontario (Thomson’s birth place) also feature the artist’s work. You can see highlights of the Dulwich show in London here. Painting Canada runs until January 8, 2012 in London England.